The GDP’s Michael Flynn participated in the University of Oxford’s Border Criminologies 5th birthday conference—“Beyond Critique”—on 19/20 April 2018. With support from the Bonavero Human Rights Institute at the University of Oxford and the Migration Policy Centre at the European University Institute, the two-day conference brought together an international group of artists, scholars, policy-makers, practitioners, activists, and lawyers to discuss strategies and hopes for change. Michael Flynn’s presentation, “Between Resistance and Resilience: Challenges and Risks in Moving Beyond Detention Critique,” discussed strategies that different social actors have used in their efforts to challenge and roll back immigration detention. Drawing on contributions to the recently released book, “Challenging Immigration Detention: Academics, Activists, and Policy-Makers,” he detailed the successes and shortcomings in direct action, the promotion of “alternatives,” and research and investigative approaches. 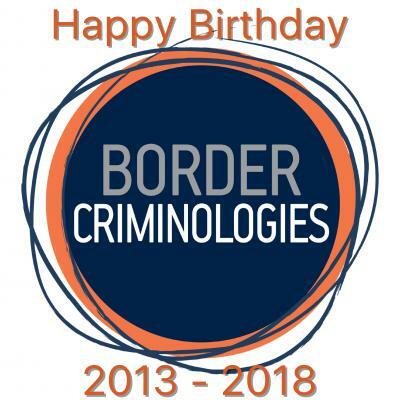 Conference celebrating 5 years of Border Criminologies at the Centre for Criminology, University of Oxford. 14:45-15:15 The role of children and youth facilitators of irregularized migration in community-based participatory research on the US Mexico border (Gabriella Sanchez – Migration Policy Centre, European University Institute).